When it comes to destinations that have developed with amazing family holidays in mind, Mallorca is pretty hard to beat. With some 550km of beautiful coastlines, a huge array of things to do and luxury Mallorca villas that offer private and kid-friendly accommodation away from the more touristy resorts, this Balearic beauty means you can perfectly balance the kid’s needs for fun and entertainment and a more grown-up hankering for peace, quiet and a quality place to stay – as well as a stunning Mediterranean climate! But when you’re not chilling out in your luxury private villa, you may want to head off and have a day filled with family-friendly fun. There’s a huge range of activities on offer in Mallorca, but if you’re in need of a few ideas here’s a rundown of six of the best activities families should try! A trip to the farm is always going to go down well with the little ones, and this is one farm with a difference! Yup, Artestrutz is a fully-functioning Ostrich farm where you can see the giant beasts and their chicks in action, buy an Ostrich handbag or a pair of shoes and – if you’re feeling daring – even take one out for a ride. If you’re a water baby but prefer to stay dry while you’re enjoying yourself, Palma Aquarium is the place to be. With over 700 species of marine life for visitors to see, learn about and even get hands-on with in the touch pool, kids and adults alike are bound to have a whale of a time – especially considering their activities (which include swimming with sharks and stingrays) are far more enjoyable than that last pun. 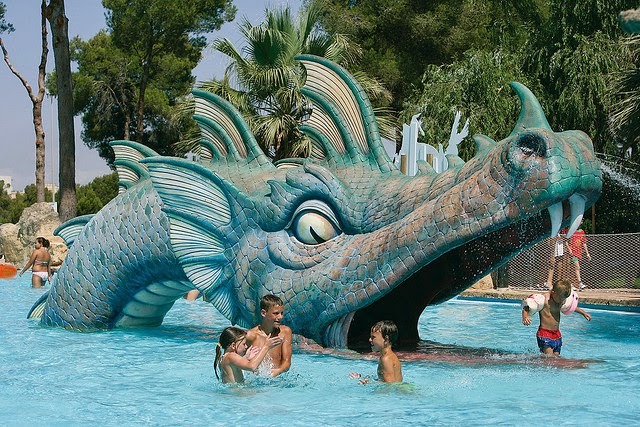 The Caves de Drach (which literally translates as “Dragon Caves” if you want to get younger imaginations fired up!) can be found on Mallorca’s east coast near Porto Cristo. With over a mile of caves to journey through – taking in breath-taking rock formations and an underground lake en-route – it’s a side of the island you never knew exited! Mallorca has a great choice when it comes to waterparks – there are several dotted around the outskirts of Palma so they’re easy to reach no matter where you’re staying. Aqualand in El Arenal is arguably the largest, with plenty of slides and rides to keep everyone entertained. It does get pretty busy at peak times though, so plan accordingly! Reserva Africa offers families another unforgettable experience on their Mallorcan holiday – a full-on African safari! Hop in one of the zoo’s hire cars or take the train through the park and enjoy the landscape and the wildlife together. 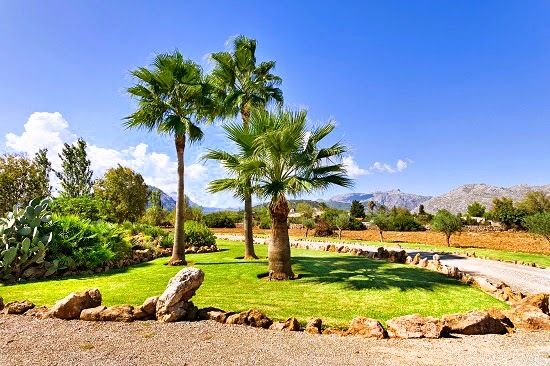 Found near Porto Cristo, it’s perfect for those who want a bit of outdoor adventure. Mallorca looks like a blast! I'd check out the aquarium as I love these spots. We saw a nice one in Phuket. Not bad really, especially in a place that isn't always first world when it comes to places like zoos and aquariums. Thanks for sharing! Yeah we went to a great zoo in Chiang Mai, better than most in the states! A good friend of mine here in Hawaii is from Mallorca and says the beaches are aazing as well! I regret not doing a Mauri experience in New Zealand because I feared it wouldn't be authentic. Now I try everything I can :) I'd love to go Hawaii, looks like a fascinating place. I was 16 when I was in Hawaii and my family went to a luau as well. At first I was very annoyed, I thought it would be dumb and I would be embarrassed! I remember trying to get out of it and ask my parents if I could just hang out with the friends I made that week (HA! yeah right!). Anyway, I am glad I went! It was very interesting, food was great, and the performances were awesome! Never been to Hawaii but your post here always reinforces the lessons I've learned from travel -- to try things anyway no matter how people say that it might not be worth it. I dunno, but for me, even if some people say that a certain area is too touristy, since I still want to see it anyway--then I go! Haha! We love to learn about local culture and food, the luau looks like a perfect lesson of Hawaiian culture!